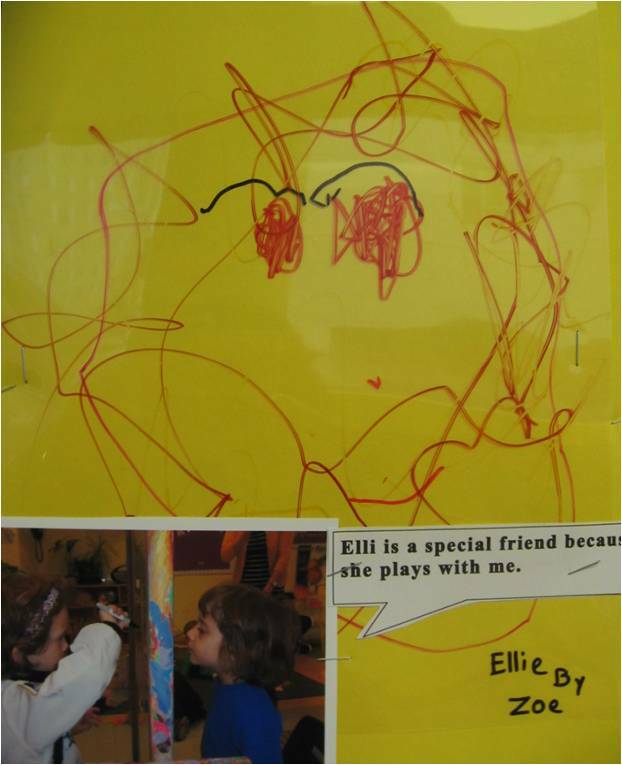 Our four-year-old Blue Room students recently celebrated friendship. They started with a discussion and listed what they thought made a good friend. 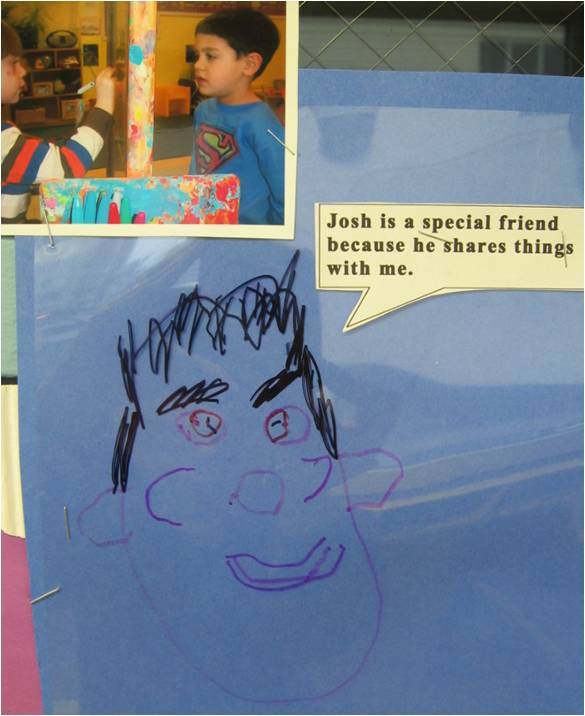 Then they did different activities that signified the importance of friendship, such as making buddy portraits. Elli is a special friend because she plays with me. To create their buddy portraits, the children sat on each side of a Plexiglas easel, and took turns drawing each other on transparencies with permanent markers. 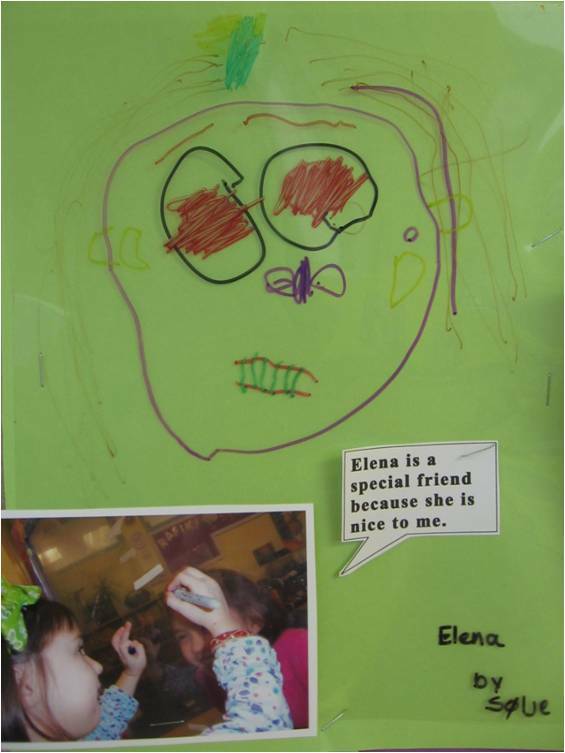 Not only did they create fun portraits, they also practiced how to cooperate, be patient, respect each other, improve their communication skills, and sometimes, negotiate. Their buddy portraits captured not only how they see their friend, but also why that person is a good friend. she is nice to me. 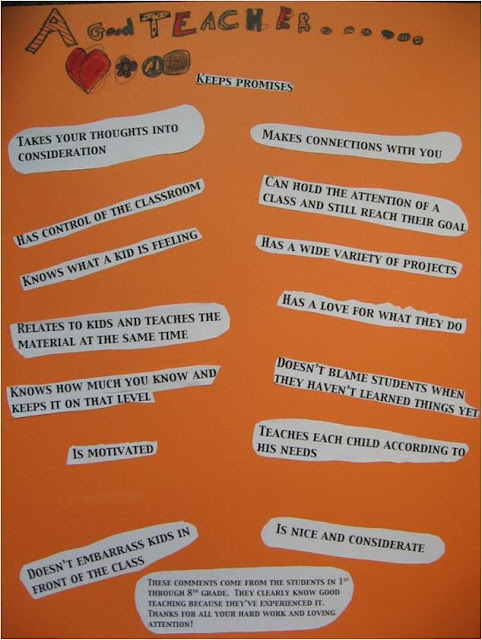 For our recent celebration of Teacher Appreciation Week, parent Cathy Bowers polled students on what makes a good teacher. As you can see, it seems to have less to do with imparting subject matter, and more with what kind of person you are. ...is strict and firm but doesn't yell. ...accepts mistakes and says "do better next time." ...looks at the good, not just the bad. All these quotes were collected and displayed on colorful posters around our big multi-purpose room for teachers to enjoy and mull over. Sure enough, they gave not only teachers something to think about. Thank you, Cathy, for putting this project together! 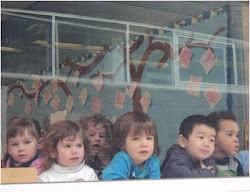 For more than 60 years, Akiba-Schechter has helped students excel because we believe in their unique strengths and abilities. We are a multi-denominational day school (preschool through 8th grade), located in the Hyde Park neighborhood of Chicago.